We all know Eastern Europe is a budget-friendly region for stag groups looking to save their pennies. But how cheap are the Eastern European countries really, and how to they match up when compared to each other? Here, we have put our years of experience to the test, to come up with the ultimate price-off analysis. Use this chart below to make sure you choose wisely and get the most out of your stag do abroad. Its what we’re here for, what can we say! In our rankings below, the destinations with the lowest score we consider to be the cheapest, with the destination accumulating the highest score being the most expensive of the lot. We take into consideration various categories such as those of food and drink, but also how much you can expect to spend during your day and evening outings….these are rated from 1 to 5. Overall we rank each of our six selected destination from 5 categories, meaning the maximum score can be from 25. As always this really depends on your budget. Hostels charge from €15 to €20 per night. A decent two to three star hotel, will set you back between €40-60. While a four or five star place will be between €70-120. With the cost of a meal in a good restaurant costing around €15, dinner in a pub costing €6-€10 and a lunchtime snack coming in at around €5, its safe to say Bratislava is not too expensive. But it’s also not the cheapest destination out there. Stags on a budget will find plenty to fill their stomachs on a shoestring. And if you fancy splashing out, there are loads of options available. Drinking in Bratislava is cheap. Its not dirt cheap, but stag groups will find their pennies go much further when a pint of beer costs between €1-€3, a bottle of vino comes in at around €3-€7 and cocktails are usually around €5-€9. There are always ways to stretch the budget though. Buy at supermarkets. Pre-game in the hotel and drink the local booze. It’s probably delicious anyway. You are in Eastern Europe after all! 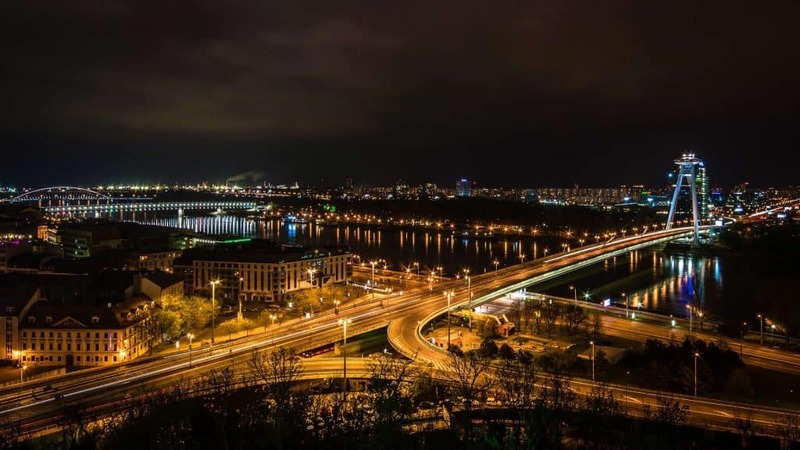 There is plenty to do in Bratislava that is free. And that often includes activities like art galleries and museums. The Slovak National Gallery is free-of-charge and it’s the best in town. Tours of the city usually cost between €15-€35. Or hop on a sightseeing bus for around €10-€12. On your stag do in Bucharest, you’re looking at around €17-€20 for an apartment, and €70-€90 for a three or four-star hotel (twin rooms). Five star hotels are a little more on the expensive side. If you need help booking accommodation, we’re here to help. Our local knowledge is second to none. Everyone knows that Bucharest is a budget friendly stag destination. Lunch will set you boys back around €5-€6, while a good dinner in a nice restaurant will be around €12-€15. You can get a cheaper dinner, but on your stag do abroad, it’s nice to treat yourself. And let’s face it, it’s still probably cheaper than home! When a pint of beer sets you back between €2-€4, you know you’re in a stag friendly destination. A bottle of wine costs around €5 in Bucharest. And for a drink in a club? You’re looking at around €8. More than affordable if you ask us! 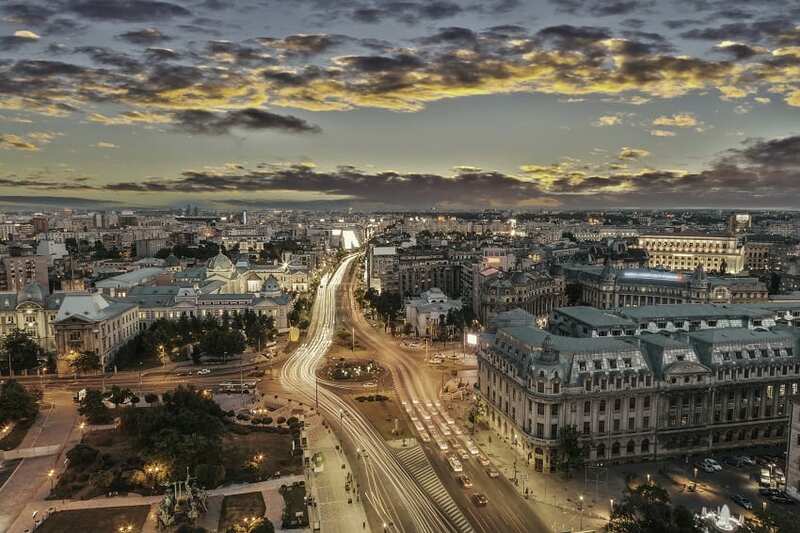 Many of the best attractions in Bucharest are free, but for stags looking to immerse themselves in the destination, prepare to fork out a bit at certain sights. The iconic Parliament Palace costs around €7. Museum of the Romanian Peasant costs €1.30 and the open-air Village Museum is €2.15. So, not likely to break the bank is it! In the Old Town centre, where most of the bars, pubs and clubs are located, there is sometimes a small entrance fee of around €5. That is unless you are a girl. Girls go free. As you’re organising a stag do, we can rest assured you are not a girl. You could dress up as one and wing it! 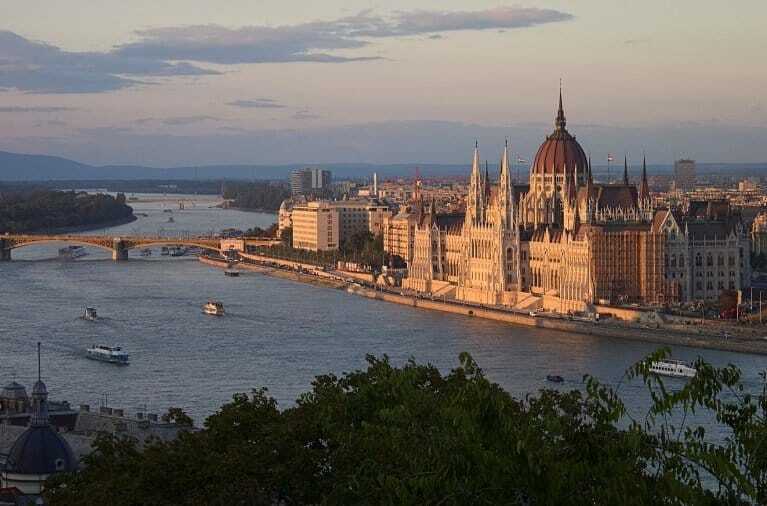 Whether your stag group is looking for cheap as chips hostels, or the indulgent comfort of a four- or five-star hotel, you’ll find plenty to fit your needs in Budapest. The city is teeming with hotels. Want to book yourselves? A one-star will cost around €18-€40. Two-star goes for €20-€50. With €25-€70 you’ll get a decent three-star and four- to five-star places will go for around €40-€150. It really all does depend on how centrally located you will want to be. Also take into consideration that the summer season is also peak in occupancy rates for hotels, and most definitely try to avoid booking for the weekend that the Hungaroring F1 takes place if you want a decent price. If you are on a tight budget, Budapest will deliver the goods. Stag groups can get a tasty lunch at a traditional eatery for €4-€6. For dinner, if you steer clear of the tourist hot-spots, you can pay €8-€10 for a hearty meal. There will always be places that cost more. And don’t be afraid to splash out. It is your stag do after all. Drinking in Budapest is wonderfully cheap, with a beer setting you back only €1-€2. As for a glass of wine? Think a little more €4.50-€7.00. A little bit of cash goes a long way in this Eastern European stag haven. Pace yourselves lads. Many of the popular city attractions in Budapest are either free or very cheap. This makes the Hungarian capital perfect for groups looking to explore. You can find some great free walking tours and free museums or galleries. And the popular funicular up to the castle costs around €6.40 return, while a tour or the parliament building is also worth the expense. Budapest’s nightlife is centred around its awesome and highly unique Ruin Bars. Basically repurposed derelict old buildings, these bars are as quirky as they come. And the best bit? They are almost always free to enter and many play live music and have full-blown, all-night club parties. Entry to paid bars or clubs where applicable is usually between €3-€7. 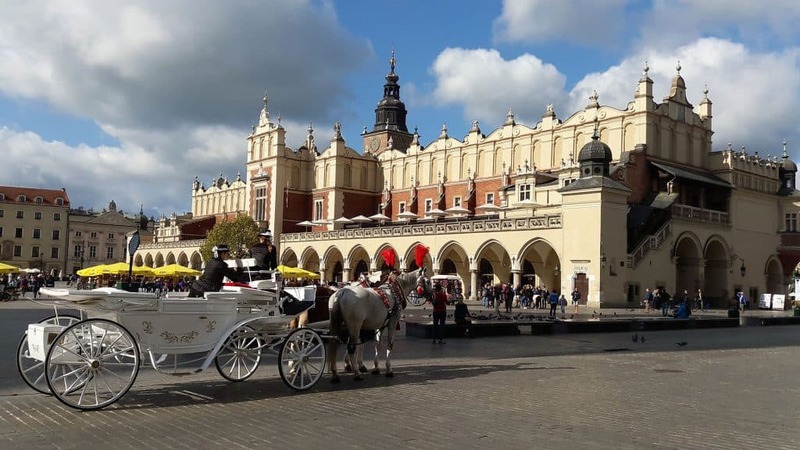 Like most of the Eastern European destinations, Krakow’s hotel prices vary greatly depending on quality, location and services. The cheapest end of the spectrum would be €19. And at the higher end you’ll be looking at around €80-€190. Of course, if you book bigger shared rooms or dorms the prices drop to around €10. You can eat on the cheap well in Krakow if you steer clear of the tourist trail. Lunch in a local milk bar or canteen can cost as little as €2-€3. Dinner in a similar style venue would be around €3-€5. More upmarket, tourist places cost more. But you’re still be looking at a meal for around €10-€12. When a pint of local beers costs €1.80 and a decent bottle of table wine is around €7, you know you are onto a good thing. Cocktails in a club will set you back some €4.50. Krakow isn’t the cheapest Eastern European destination, but it easily provides stag groups with their money’s worth. And don’t forget, Poland is home to some of the very best vodka on the market and very well priced. Like most things in Krakow, nightlife is more than affordable for stag groups on the lash. You’ll find hardly any places charge an entrance fee, apart from some of the bigger clubs. And even then, the charge is nominal – around €4-€5. Prague’s hotels get booked up fast and prices can change depending on the season. So, book early! The cheapest end of the spectrum starts at around €10. Mid-range can vary between super cheap (€25) to super expensive (think €180). If you lads are real high rollers, book a five-star joint for up to €350. Prague has a reputation as one of the pricier of the Eastern European stag destinations. Maybe because it is so popular amongst stag groups. But those on a budget can still feed themselves relatively well, with €5-€7 for lunch and between €20-€40 for dinner. Luckily, beer is the one thing that has remained cheap in Prague. Maybe because the best brews are made in town. Or maybe because the city wanted to throw its loyal stag groups a bone. Either way a brew will set you back between €1.20- €1.70. Not exactly going to break the bank is it? In comparison, a cocktail in a club will cost around €7.00-€9.00. 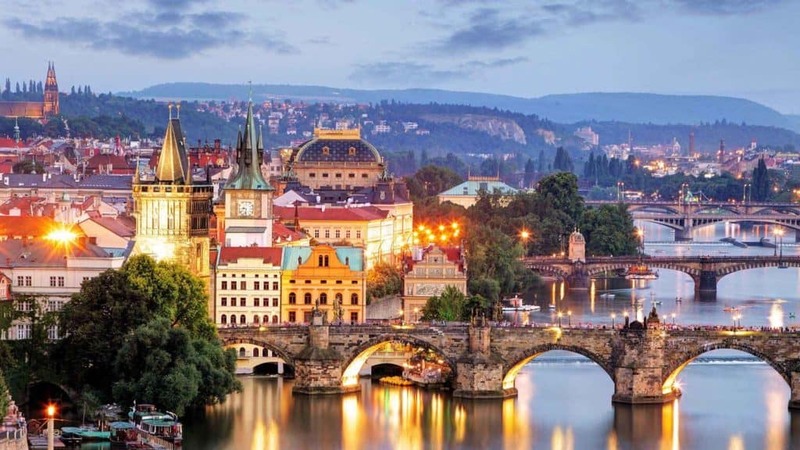 As a more expensive destination, Prague’s day activities for stag groups looking to explore, are usually a bit more pricey than other hubs. A visit to Prague Castle will set you back between €13-€19 depending on how long you stay. The Prague National Gallery costs €20, and a city tour can be anywhere between €10-€40. Most of the bars and pubs in Prague are free to enter. The real nightclubs usually give free entry from Sunday until Wednesday and then charge a small fee on Thursday, Friday and Saturday. Paying entry at a club can get you free beer though, so it’s a win-win really. If you lads are looking for a hostel or one-star place, budget for around €10-€30 in Sofia. As for two- to three-star hotels? You’re looking at around €15-€50. Four- to five-star joints will set you back between €35-€90. We can help you find the ideal accommodation to suit your stag do budget. Just give us a shout! Depending on what kind of a meal you’re after, stags in Sofia can pay as little as €2 for a pizza or hotdog in town. A nice meal out will cost €15-€25, but even then, fancy places are still cheap by European standards. A three-course meal at an inexpensive local restaurant won’t set you lads back more than €10. Did someone say beer for €0.60? Yes, you heard it right. A local beer costs around €0.60 at the supermarket in Sofia and around €1.20 at bars. Cheap as chips, right? A bottle of good quality red wine is €5.30 and a cocktail in a club is a little more expensive than if you were to visit a cocktail bar. 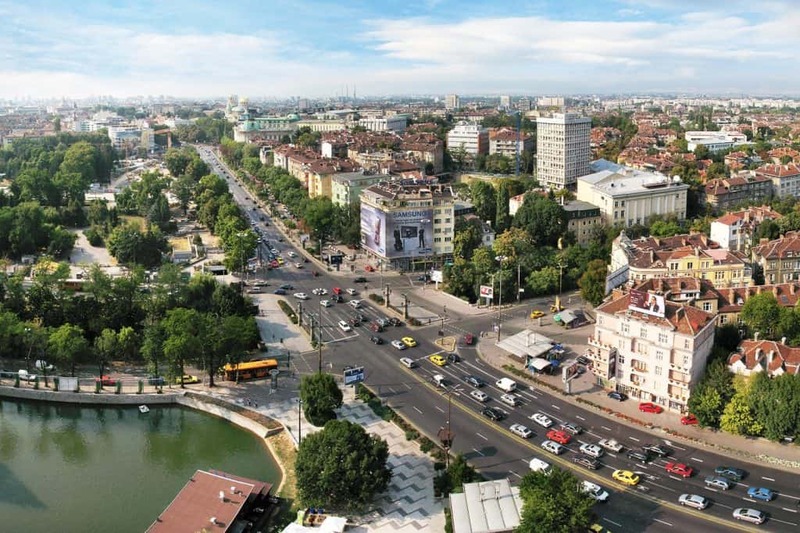 Sofia is a seriously budget friendly destination. As a stag group visiting the city you can get by on a shoestring and many day activities won’t cost you a penny. Popular tourist sites might charge a small entrance fee, like St. Alexander Nevsky Cathedral museum, which is €3. The National Museum of History is €5, and a city tour might cost around €10. Like everything in Sofia, nightlife in this stag friendly city is notoriously cheap. Budget around €10-€15 for a night out in a club if you do not go for a reserved table that would normally set you back as there is a minimum spend applicable. And don’t worry about entrance. Clubs almost never ask an admission fee. Once you have decided on which European Capital you will travel to then you can give us a shout. We will help you organise the most epic stag do you can imagine. We’re experts in the region and our collection of activities, services and accommodations are second to none. Go and see for yourselves if you don’t believe us!